That clean low-mileage used Acura Engine you’re looking for? It’s probably among ours. We have more than thirty-five different engines types set aside for the Acura. They’re ready to ship FREE to US and Canada locations. Arrival is usually within a week and comes from our massive inventory of used power train parts. We go out of our way to inform you of the status of your Replacement Acura Engines shipment. We will work after hours to help you get your car back on the road. Call and leave us a message, we’ll get back with you. Call for FREE prices in exchange for your VIN and the shop address. Warranties are available on most and some have with a money-back guarantee.Call to check yours.It’s FREE, FAST and friendly. Degreasing engines, refurbishing cylinder heads, grinding shafts, boring, and honing engine blocks are part of our world. Our in-house automotive technicians handle our remanufactured Acura engines or the rebuilt Acura engines available to our clients.It keeps the work pure and the costs low. We do not boast a large staff of semi-qualified personnel hammering away as fast as possible. We are an old-fashioned American business steadily honing our craft one auto technician partnered with one engine at a time. Our experts have accumulated massive knowledge about each specific breed of manufacturer, especially this one. In the case of manufactured defects, a simple replacement won’t do, the component must be re-tooled for proper performance. We take pride in our engines and transmissions lasting another generation (and sometimes, two) because many of our clients are handing down these vehicles to their children or grandchildren. About the matter of manufactured defects: Of particular concern are Acura models, like the MDX whose original condition wasn’t received well, notably the 2014 and 2015 MDX, and the 2003 and 2006 Acura TL models or the TLX and 2009 TSX model. The TSX’s 4-cylinder 2.4 liter gas-fired engine is notorious for frighteningly high oil consumption which wouldn’t be so terrible if the dealers were honorable with those extended warranties and covered the costs of repair.This was not the case for many of our clients. The result was engine failure. This is the time when our engineers shine by providing a remedied used engine at low cost. 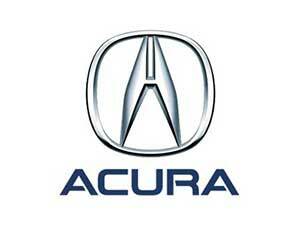 Overall the engines issued for the Acura over several decades have been outstanding. Their performance has been enjoyable with the favorite being the V6 3.5 liter with dual overhead cams. The primary issue with the remaining models we listed above are with the transmissions for which a book could be written, most notably the MDX model where by the automatic transmission potentially overheats and causes a seizing behavior without warning. Our clients have had varying success through the dealer for repairs, but the more egregious scenarios warranted multiple transmission replacements intermittently between 20k and 100k miles apart and often occurring beyond the extended-extended warranties. If it happens once, it’s wear and tear. If it happens multiple times, it’s on the manufacturer. If your model resembles these problems, call and speak with our automotive technician and discover which used Acura transmission or rebuilt Acura transmission can best remedy your auto repairs based upon the suggestion of your auto mechanic. More importantly, AutoUsedEngines can shave thousands off the price of a used transmission from the dealer. All advice is FREE. Acura owners are committed to excellence in all things Acura including repairs, vehicle performance and routine maintenance. These drivers buy the best and they expect the best for all that follows. A replacement used engine or transmission should be no different. Is Yours a Discontinued Model? If we don’t have your part, it probably doesn’t exist. Don’t worry, this is rarely the case. We specialize in acquisition and distribution of power train parts for models years 2000 or younger. Among these years were a variety of discontinued models like the 2007 – 2013 ZDX crossover SUV that was sold with a J37A5 V6 3.7 liter engine, but don’t worry. The same engine with minor alterations and varying displacement was issued with the Acura RL, the TL SH-AWD and the ZDX. The platform crossover applies to other discontinued Audi models such as the CSX, TSX and the RXS. We’ll will find a suitable used engine or at the very least a rebuilt engine for your discontinued version. This platform exchange is generally true for used transmissions as well. Call and check.